How does a piece of music get written, mixed and make it to the world? Well there are many ways that people write music but here is how I did it this time. 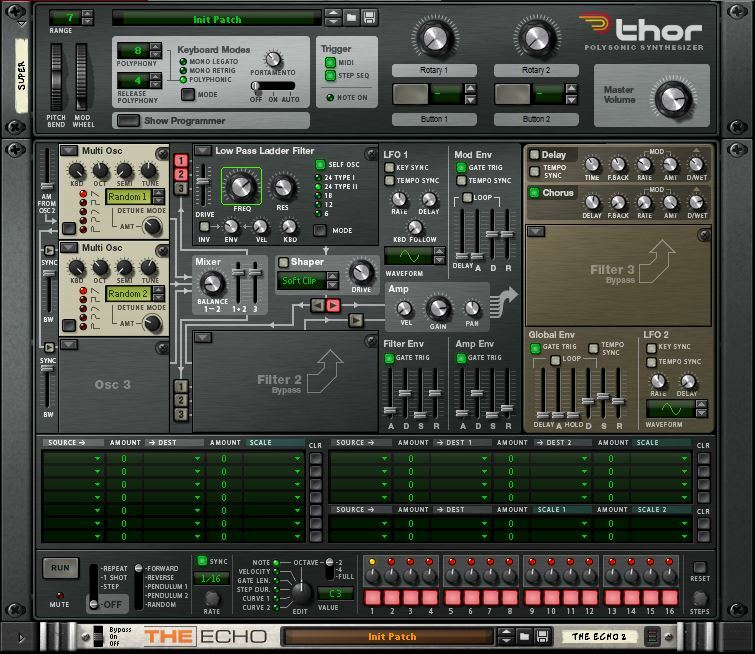 I use Propellerheads Reason so any devices I refer to specifically are from Reason. As much as possible I keep to the order in which things happened. This is Part 1 of a pair of articles Part 2 will cover the mixing of the piece. The big difference for me with this piece is that I started with an Audio Loop. Now I know many of you do this already so it isn’t a big deal as in reality most of us start with a Riff (loop) that we make with no greater purpose or story than the feel of that riff itself. I got the loop from discover.propellerheads.se specifically phead.mu/s/CwAsDiSE made by someone called lisverb. I liked it, it appealed to me. I liked the title too as it has story and movement. The other unusual thing for me was that I went from riff to drums. Normally I add drums only after I have melodies and at least a sketch of the sense of the music and story. Otherwise I tend to find that drums too early stop me from developing the piece; instead I find myself developing the sound or groove and there is no room for melody. Drums can easily swallow the more subtle parts like melody etc. Anyway this loop called out for drums, nice electronic drums with punch but clearly electronic. Just my thing. I grabbed a Kong and popped a Tone in the first slot. Kik & Snare are both only a single generator given shape and punch with a Compressor. I kept the drum pattern simple as the Riff has a nice sense of movement and space. Initially I had the Cowbell in every Phrase but it called for a sort of sliding sound that I knew I wasn’t going to get in Kong so I added a Thor and made a wobbly whoosh sound that just sat in the mix for Phrase 1 and the Cow for Phrase 2 to keep variety. I placed those right where there is a space in the riff so it gives a sense of emphasis to the groove. The Riff Loop has a sub-melody (sense of melody that isn’t really a melody, just pointers) but being audio I can’t see what notes are used. Also being less than studied in my theory I couldn’t say what notes or Key was used. Because it is a simple enough loop what I could do was loop a section and play notes on a synth till they matched. What that gave me was three notes E, D, B – just enough for a pop song. Having a slight House feel already I decided the main pad should be a bit Juno 106 so I called up a Thor with one Saw OSC & Chorus. I keep notes simple so as to only reinforce the melodic movement and fill the sound a bit. The Riff Loop already has a Bass line and I didn’t want to mess with that as it worked well. What I did add however was a pulse that worked in with the existing groove to spice it up after the initial part of the song. For this I used a Subtractor as it has a sound that penetrates a mix well. Very old school VA. The pattern is simple and just plays with a sense of counter rhythm against the main riff. It makes the groove pop! To add movement in this I panned the synth left and the delay right. Note that the delay doesn’t try to be funky, simply repeat the statement > over there. It called for a human feel as the city sleeps and the individual (watcher/storyteller) is left. That had to be a monosynth with a voice-like sound. Clearly a job for Thor. Again I wanted simple, so a single Saw OSC into a 24db Filter with a little Env movement was plenty. Most of the character comes from a long Portamanto that adds that haunting (old Asian man) feel and an LFO on the Pitch with a fade in. To add bite to the sound I inserted a Scream using it’s namesake tone which is a combination of Fuzz and Wah. Mostly I let the filter alone but I do raise and lower at the start and end of the instrument’s presence in the mix. This subtle trick adds a sense of coming and going. The Lead works it’s way in over the main groove close to where a middle eight or solo would be. It then plays to the end of the piece. The notes are pretty simple (and rely a lot on the Portamento) but expand on the three notes identified above. I have assumed C Maj as the Key so all other notes I treat as passing. These notes create tension and release and therefore a sense of drama and story. I thought by now the piece would feel finished but it doesn’t. The first half now feels unfinished. Having no real idea what to put in there I insert a Thor and copy the notes from the Lead to see what happens. Presto it works, sounds different but has familiarity (or will give familiarity to the lead). The sound I need is Unison. That matches the initial Trancey idea of the riff too. Lucky I chose a Thor as it has a Unison OSC so with a pair of them on-board (second acting as a sort of Sub OSC) the sound had pretty well made itself. Note how I use the Chorus to get a really wide sound. This is great trick Thor can do. Too much Super Saw was going to kill the piece so I used Filter to fade in and out. What I wanted at this point was for something to lift the whole second half of the piece without adding or changing anything in any big way. No doubt this is called Counter Melody or something formal. This is where a bright sound can work well. Experience works wonders (I missed my training in notes but I did train myself in sound – that said the bit of note training I did lately has paid off big time or I would have died with this). I can imagine a thing and make it to order whilst still letting in a bit of experimentation and random. I figured a PWM sound would be nice and bright whilst still having a soft feel (as opposed to a hard FM or Ring Mod feel). I did wonder what that would be like if I used an OSC instead of an LFO. Ok so with the OSC up at full speed it was not good but with enough offset between the audible-OSC and mod-OSC it worked. Plenty of reverb to bury it in the space. I wrote a few phrases. These aren’t designed to be musically strong, only to add spice to the piece and add that lift I was looking for. Once I had these phrases I copied them to the Super Saw earlier in the piece too so they would be recognized and accepted as existing material later in the piece and not stand out. That ended the melodic parts and I only needed a bit of sound effect to get the piece started. Noise is the enemy of most musicians but Mr Moog gave us synthesists a way to use noise as a secret weapon. Combine White Noise with a Filter and you have the most versatile effect instrument ever created. I can tend to use a lot of sound effects, maybe too much at times. Here I needed a way to ease into the piece as I don’t like the loop hitting cold but I don’t want any more structure to detract from that riff. I partly want ot show that loop as I didn’t write it and the guy who did deserves his time in the sun and credit. A simple ascending sweep was a great start. I then copied that to strategic points in the composition. Note that in most cases the “riser” comes after the event and not leading to it. This isn’t a stormer of a piece so the retrograde timing gives more mystery. It is the little touches that give a piece finesse and a far greater shape. Turns out that in the intro I needed a bit more than a stark whoosh. The Bright sound playing a few choice notes helped but it wasn’t till I dragged in the Lead and Pad sounds that it felt right. Other extras added were minimal. To get timing to breathe & flow nicely I added a bar with only root note to separate the two halves. So simple you don’t really notice but if it weren’t there you’d notice as the next section would feel sapped of energy. Also between the second last and final sections I copied a one-bar section of the riff and repeated. The riff screamed for this from the start. A classic 80’s thing. Not super noticeable here but again it helps finish the section and give some breathing room before attacking the final bit. I’m sure others would have done something more glitchy here but that is not my thing. The end is super simple as I knew there would be a fade so I used the established breather-bar of the root note and that is it.